Among many important objectives, the Commission promotes transparency in government and fosters public trust in the political system. To engage constituents in the political process, the website provides easy access to over 40,000 documents and forms, online tasks and reports. 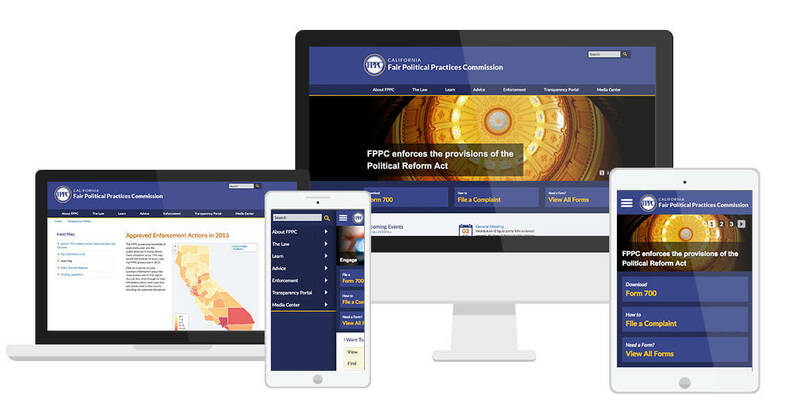 The Fair Political Practices Commission came to SymSoft looking for a user-focused information architecture that would allow visitors and staff to easily access over 40,000 documents and pages from their website, even from a mobile device. SymSoft built a mobile-friendly website using Adobe Experience Manager (AEM) as the Content Management System (CMS). The easy-to-use system include customized workflow, approval process, and document management for content authors. By organizing content based on user needs, users are more likely to find relevant content with just a few clicks Leveraging Adobe Experience Manager’s user friendliness, we were able to deliver a solution that empowered content authors to manage their content without requiring assistance from IT staff.